This was my wife's helmet of choice. She was happy when she got it and still likes it after a few rides. No problems. Needed a helmet for the wife. After reading the reviews decided to purchase it. I ordered a small and it fit perfectly, only complaint is that it does seem to be on the heavier side. I ordered this for my wife. It fits nicely. We haven't had a chance to try it out yet. It's still winter here in New England. We liked the design and fit, plus the eye protection. She likes the flower design on the helmet. It gives it a feminine touch. I like the styling and the graphics of this model helmet. My girl, tried it, she liked the fit, and the drop down shield! Will this helmet work with a Bluetooth headset? Does the shield completely retract into the helmet? BEST ANSWER: Yes it does. A small tab hangs out for you to pull the down. When retracted it really isn't noticeable. Yes the shield does completely retract into the helmet. CAN YOU PUT THE SHIELD UP ? Can you wear a Bluetooth headset with this helmet? 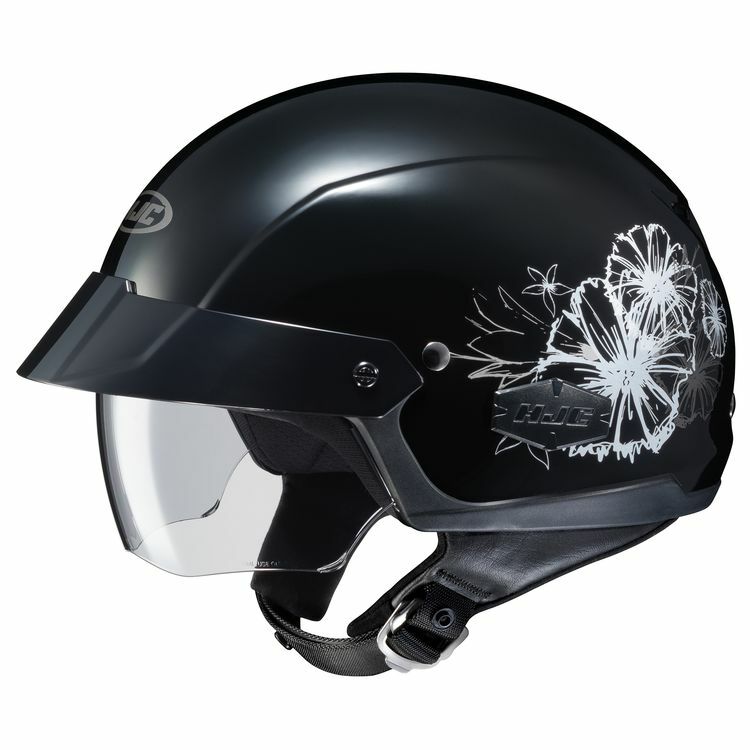 BEST ANSWER: My helmet is similar to this but not the exact same thing. On mine, no to the Bluetooth device. I hope this helps. Good luck! It should, depends on the headset you are using. Can you purchase a clear visor?